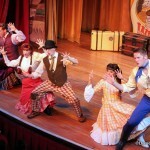 It’s no secret that I love Disney World’s Hoop Dee Doo Musical Revue in Fort Wilderness. I mean, come on? What’s not to love? All you can eat picnic food served in metal buckets; all you can drink beer, wine, and sangria; a show that’s been entertaining guests since Disney World first opened? It’s all good. And they serve one of my very favorite foods. 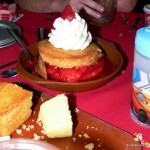 So we thought it would be fun to share a recipe that can bring home the awesome flavors and fun atmosphere of this fantastic spot: Hoop Dee Doo Cornbread! 1. Mix flour, cornmeal, salt, baking powder, and sugar in a large mixing bowl. 2. In a separate bowl, blend milk, eggs, and oil until well mixed. 3. Using a mixer, slowly add the liquid ingredients to the dry ingredients, mixing just enough to incorporate. 4. 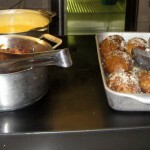 Spray a 9×13 baking pan with non-stick cooking spray and pour the batter into the pan, spreading evenly. 5. Bake in a preheated oven at 375 degrees for 20-25 minutes or until golden brown. Will you be whippin’ up a batch of Hoop Dee Doo Cornbread for your very own hootenanny this weekend? Let us know! Love cornbread! But never been to HDD review. Maybe I’ll have to try a batch. I assume that’s just regular corn meal, not the self-rising kind. We don’t get that kind up here in the Great White North. I loved the corn bread at the HDDMR. This looks awesome! I’ll have to give it a try at our next family get together! 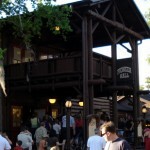 I don’t suppose you could wrangle up the recipe for the grits at OKW’s Goods to Go? I had them recently and they were to die for! Love the HDDMR and love the food. I’ve pinned this and will give it a try!! Yum! Sometimes, not always, but sometimes, WalMart will carry some self rising and truly southern items. Self rising flours and corn meals, and Baker’s Joy, which I usually can’t find otherwise here in the Boston suburbs. This truly the best cornbread. I will always eat this instead of regular desert. I have made it at home and it is every bit as good! I think the sugar is the secret. 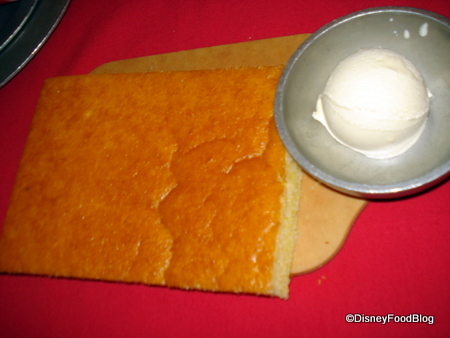 I make Hoop-Dee-Doo’s Cornbread all the time! It is the best! The sweetness is perfect and the texture is right on. I HIGHLY recommend trying it at home! This is my go-to recipe for potlucks. Everybody loves it. I’ve found that I’m able to cut the sugar down to 3/4 cup without noticeably affecting the flavor or texture. I have been using this recipe for holidays and other occasions for years now. It will be on my table this Thanksgiving too! I was so looking forward to seeing this recipe but having twice as much sugar to cornmeal is a lot. I read it to my husband and he was horrified at the amount of sugar. Sadly, this will not be on our list of tried and true. The corn bread is awesome. Does anyone have the gluten free version they also serve? We just ate a Gf version of the entire meal at the hoop Dee doo review. It was awesome. Personal attention by the chef. Wish someone would post the recipe for the cornbread. Just baking some Disney cornbread now. As we get closer to our trip this year (and Food & Wine) it’s good to involve little memories in our ‘normal’ life and let their frequency build up as we get closer to arrival date. Hi Bruce!! Great to hear it! I would love the Gluten Free version of the cornbread also. 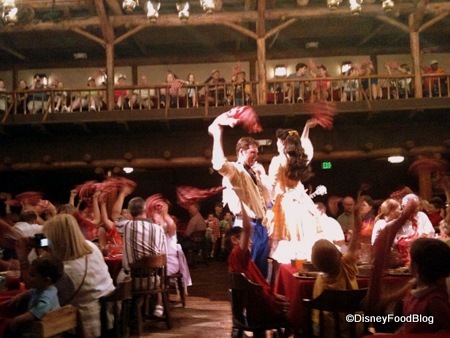 Just came back 3 weeks ago and that meal at the Hoop Dee Do Revue was awesome. I’ve made it twice. Taste great but makes a huge mess in my oven. It will not stay together. Other than that it’s delicious. Any suggestions. This cornbread recipe has become our traditional Thanksgiving treat – as well as a treat when we are craving the cornbread – ever since we attended the Hoop Dee Doo Revue a few years ago. I make this but with 1.5 cup sugar. Otherwise you might as well call it a cake. Making cornbread as New Year’s Eve treat for family. Thanks AJ. Bruce — Wonderful!! Enjoy and Happy New Year, friend.